Well in my last post I discussed how I am now a stay at home dad…..well I’ve managed the first full week! Yes it has been hard there is no denying but I’ve loved it. I’m not going to be boring and tell you what I did but needless to say it involved plenty of work! If you stay at home and look after a little one you know how much work it is! 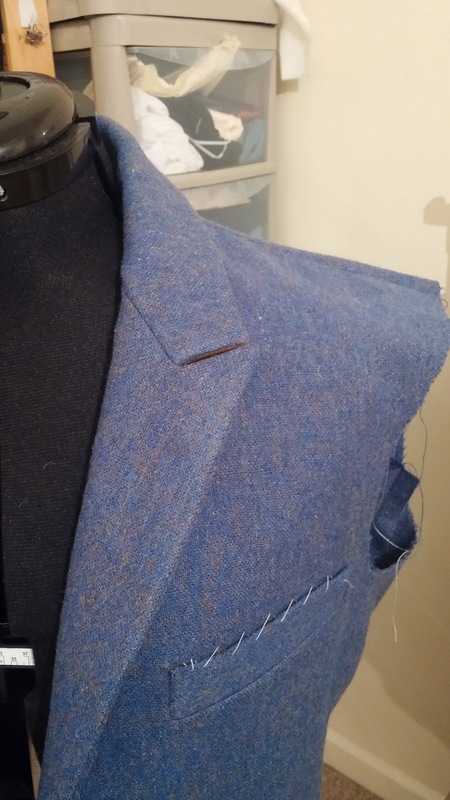 Now as this is a sewing blog I had better let you know what I’ve been doing…. 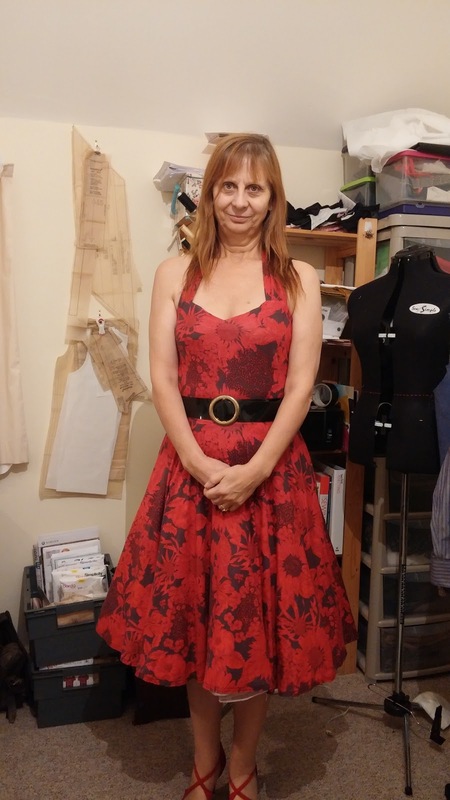 First up is a 1950’s style dress I made for a friend of mine Gail: She loves dancing and so she asked me to make a dress for her to go to one of her dances. She choose the fabric a while back, a bold black and red stretch, and I based the pattern on the Betty Dress from Eliza May. I changed the neckline and added a wider halter neck strap. Last night Gail wore the dress at a dance and I had some lovely feedback from her saying how well the dress moved. 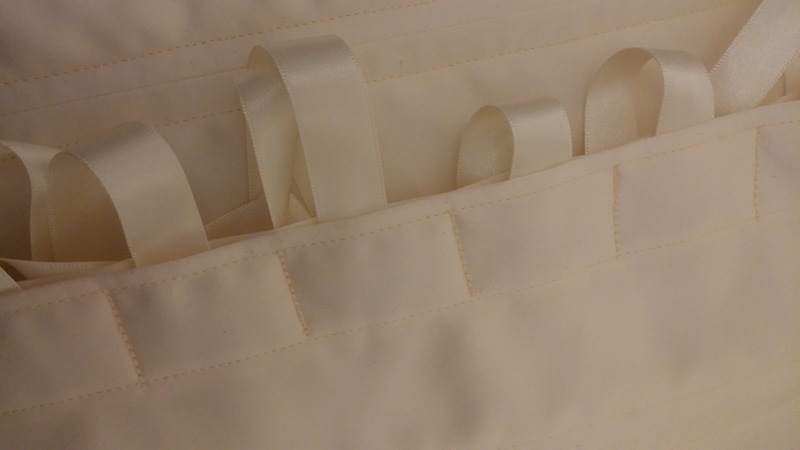 I mentioned a while back that I was making a wedding dress for another friend, Gemma, well I have made good progress this week and completed the boned and laced bodice. Next will be the skirt. Obviously I can’t go into too much detail until the big day but I am really happy with how it is going. Here’s a little sneaky peek. I finished off a shift dress I have made Lu using a free pattern from a magazine. 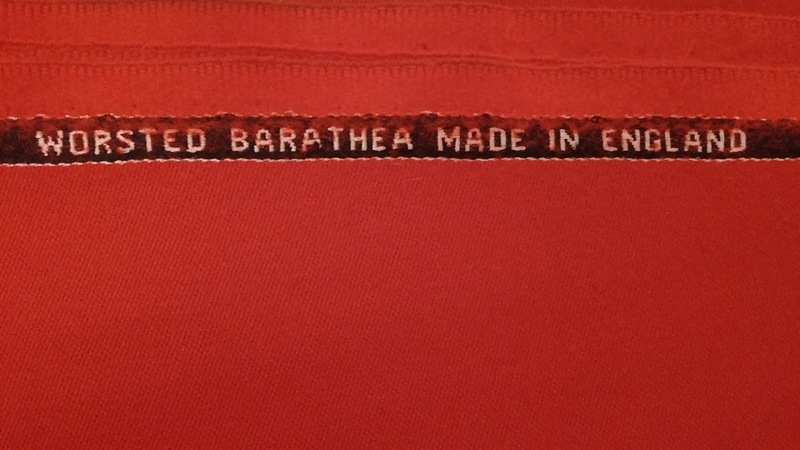 It is made in heavyweight fabric and should be great for the autumn. Nice autumn colour too. I’ve been having fun playing with labels and have made a few to test. 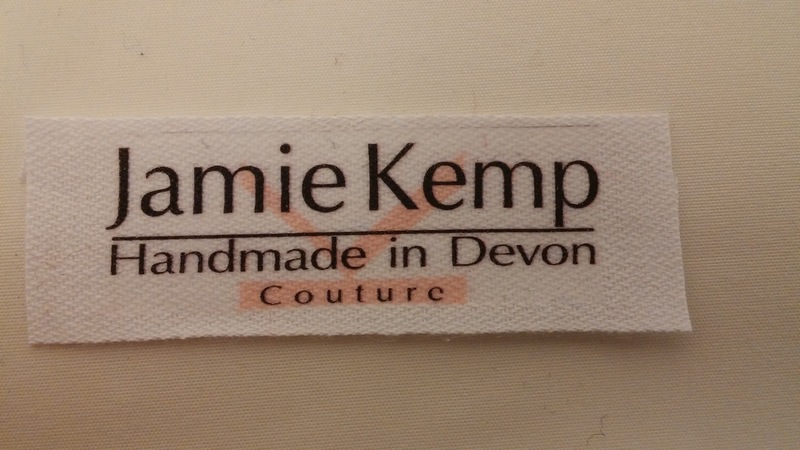 People have mentioned to me that it might be nice to put labels in clothes when I make them. These are simply made using the iron-on stuff you print onto and I made the design in Adobe Illustrator. I made a few different styles and I’m sure I’ll play around a bit more before I am totally happy. What do you think? She has chosen a style from the Burda Style magazine from earlier in the year. We will drop the sequins and flared cuffs and probably shorten it slightly. Now I have to start tracing the pattern! Anyone else tried to make anything from this magazine? 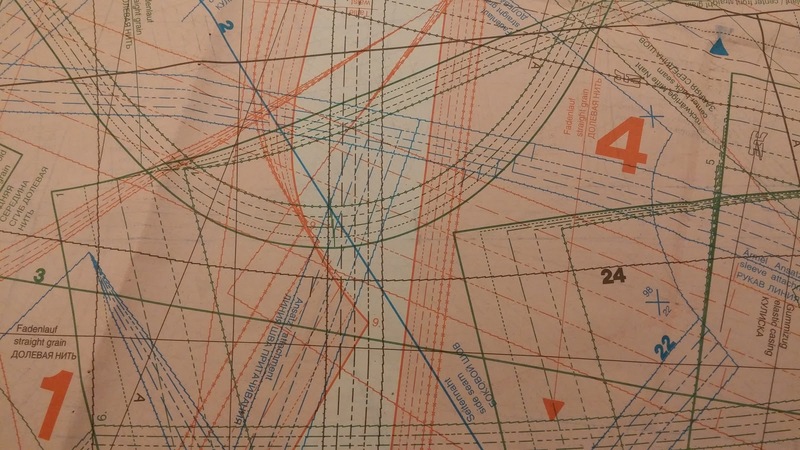 I can feel a headache coming on just looking at the lines!!! Right that’s all for today, better get some rest ready for the week ahead. 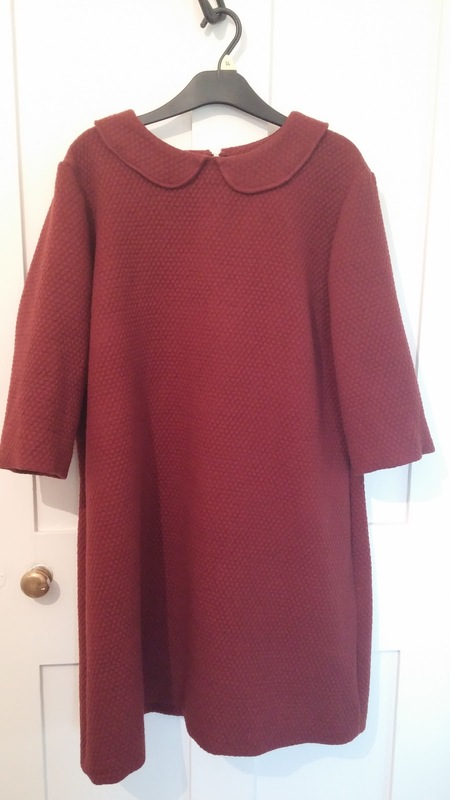 The pattern for the coat i think is available directly on burdastyle, you should check that way you can download only the pattern for the coat and not have to content with multiple patterns printed and the headache of tracing it out properly. You will have to pay a little of bit of money for the pattern but will be worth it to save the difficulties of trying to trace the pattern. Also is the wool you purchased, heavy enough for a coat, wool barathea to me is more suit weight material for jackets, pants, waistcoats etc or you could use it for a lightweight duster coat. 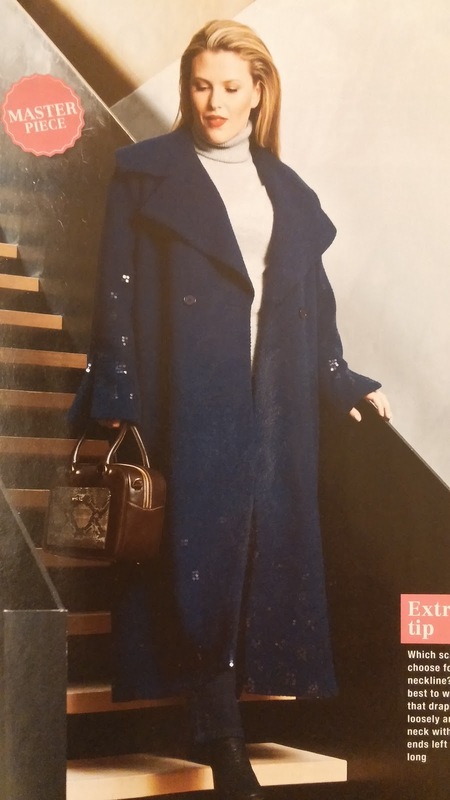 The coat you feature from burdastyle looks like it could use a boiled wool, lightweight cashmere, etc. Now if you were to do the who coat in cashmere in red, that would be a total stunner.